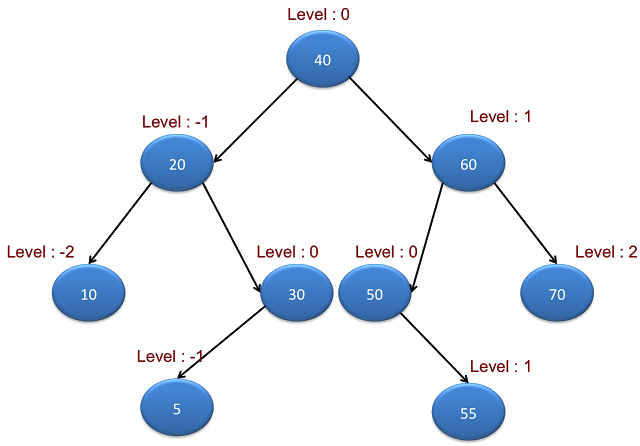 This is 10th part of java binary tree tutorial. In this post, we will see how to print vertical sum of binary tree nodes in java. 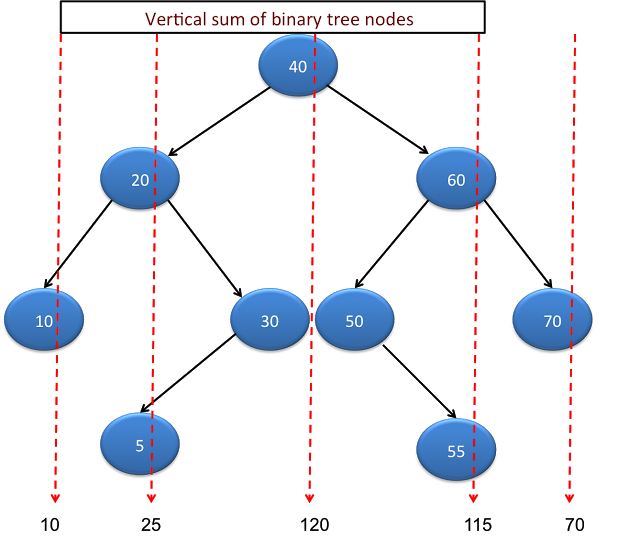 Below diagram will show vertical sum for binary tree. Traverse tree in inorder traversal. Create a variable level and initialise it with 0. When you traverse left child, decrease level by 1(level–) and when you traverse right child, increase level by 1(level++). We need to maintain TreeMap with key as level and value as node data. If you get same key(level) again, then you need to add current node data to previous stored value to calculate sum. Once TreeMap is populated after iterating all nodes, print the results. Please find diagram below which shows level assigned for each binary tree node.